Well, in the world of travel distribution on the OTA side of the equation, if Travelocity was the "come home to papa" story, then Orbitz is the "child running as far away from the parents as possible" story. Well, at least one of its parents.... more on that later. Orbitz was founded by four airlines (Continental, United, Delta and Northwest) and was later joined by American Airlines. The airlines invested $145 million to try to reduce their distribution costs through other channels by directly connecting to the founding partner airlines and bypassing the GDS. All other availability for air, car, hotel, cruise, etc. came from a long term deal that Orbitz struck with Worldspan, who was then, still owned by Delta, Northwest and TWA, (which had just merged with American). This kept things "in the family". And to make things really cozy, the airlines hired former Sabre CEO, Jeff Katz. Well, one part of that strategy worked. By the time the 2003 Travel Weekly Power List was published, Orbitz had become the 9th largest travel agency in the US. But it had not yet succeeded in displacing either Travelocity or Expedia in the top OTA spot. It is well known that the code name for Orbitz before launch was T2, short for Travelocity Terminator. Instead of staying the course as sole owners of Orbitz, the airlines decided to file an IPO in December of 2003, raising $316.7 million, giving them a much needed cash infusion. The airline owners did however retain 90% of the voting control and 70% of the ownership. In September of 2004, it was time to cash out. The company was sold to Cendant in September of 2004 for $1.25 billion. Now that is what I call a good return on investment. Cendant rolled Orbitz into its Travel group, which was later renamed Travelport, after one of Cendant's acquisitions in the corporate travel arena. The old Travelport group in Seattle then merged their business in with Orbitz for Business, its former rival. Mitch Truwit took the helm in January of 2005. In June of 2006, Blackstone acquired Travelport for $4.3 billion. Orbitz was included in the sale, but continued to operate as a separate business unit under the leadership of Steve Barnhart, who in 2009 left with a $2 million severance package after taking the company public in 2007, with a lackluster IPO that raised just $150 million. Travelport continues to own approximately 45% of the company's stock. 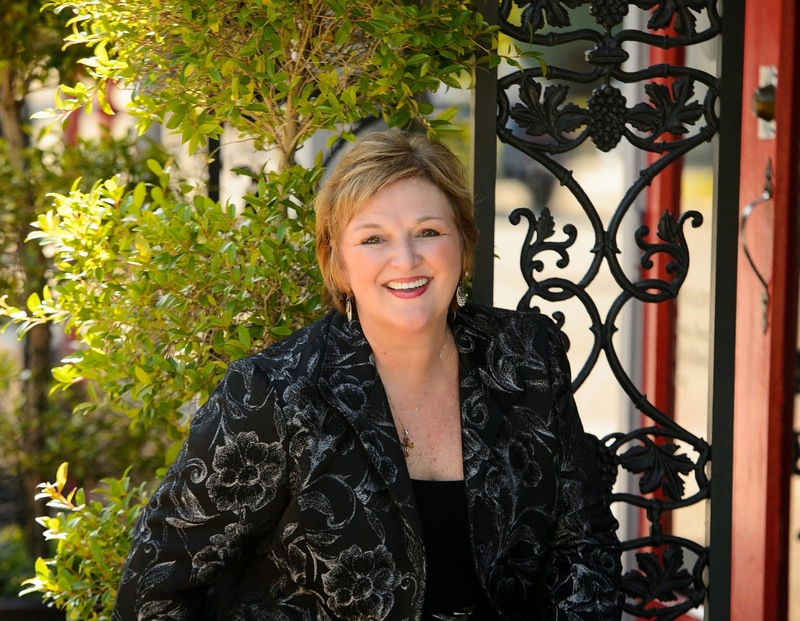 Former Expedia executive, Barney Harford was hired in 2009 to replace Barnhart. He is still running Orbitz, which has a market cap of $977.52 million in March 2014, up from $233.83 million in June 2011. Still, the shares are still well below the 2004 acquisition price of $1.25 billion, but the trend line is distinctly positive. over the long haul, with a strong recovery from the economic crisis beginning in early 2013. Orbitz looks the closest of the OTAs to its original site, as they launched a full 5 years after Expedia and Travelocity and were able to learn and take advantage of the maturity of the Internet as a channel for selling travel. Orbitz includes a wide range of brands, both here in the US and globally. 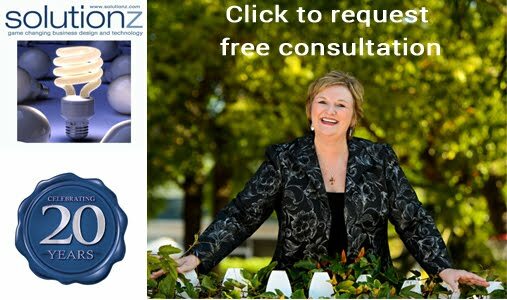 They include Trip.com (metasearch), Cheaptickets.com, HotelClub.com, RatesToGo.com, Gorp.com, eBookers.com and Orbitz for Business. And as of February 2014, you can add Travelocity's Partner Network to the equation. Orbitz acquired certain assets and staff from Sabre on February 28th. TPN provides private label travel technology solutions for bank loyalty programs and online commerce sites. The operations of the Travelocity Partner Network will be integrated into the Orbitz Partner Network. "The acquisition of Travelocity Partner Network assets will accelerate our growth in the private label space and expand the range of customized solutions we are able to offer to customers, in particular in the loyalty area," said Ronnie Gurion, president of Orbitz Partner Network. "We look forward to welcoming the customers and employees of the Travelocity Partner Network to Orbitz Worldwide." Since I am one of the TPN customers, I for one am thrilled with this transaction, as I believe in Harford's leadership of Orbitz and in the Board of Director's ability to support the executive team through even the toughest of times. Now, to wrap up today's OTA pedigree blog, I would be remiss if I did not get back to the story of the child running away from the parent (or to be more specific, "duking it out" in court). On Tuesday, December 21st, 2010 just in time for Christmas, Orbitz founding carrier, American Airlines pulled its inventory out of the system. Orbitz stopped selling tickets for travel on American and American Eagle flights after a Cook County Circuit Court judge allowed the nation's No. 3 airline to cancel contracts amid a dispute with the online travel agency and its corporate parent, Travelport. In a bizarre show of support, Expedia in turn, shut of American's availability. While that tiff has since been been rectified and an MOU is in place with American, with Expedia agreeing to access their inventory via Farelogix, the American/Orbitz spat is far from being over. In April of 2011, American hit Orbitz (and parent Travelport) with an antitrust suit, accusing them of monopoly tactics. American says the companies are trying to control the distribution of airline tickets to business travelers and are retaliating against American for objecting. On June 1st, 2011, Travelport won an injunction in the Illinois Circuit Court (where the original suit was filed in December). Effective immediately following the injunction, Orbitz reinstated American Airlines full schedule. At the time of its initial public offering in 2007, Orbitz Worldwide entered into a subscriber services agreement with Travelport that included certain exclusivity provisions for its global distribution services. From Jan. 1, 2015, Orbitz Worldwide will no longer be subject to these exclusivity provisions. 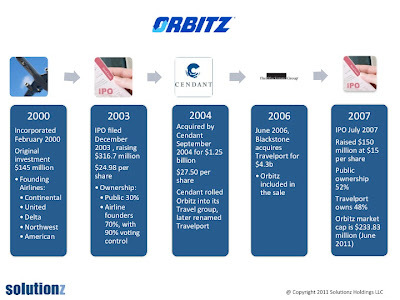 To date, Orbitz has been powered primarily by Worldspan, which is owned by its parent, Travelport, with connections to Galileo for support in its international businesses. Last summer in a bold move, Harford, with support of the Board's audit committee, directed his team to look at the benefits of expanding their GDS relationships to potentially include a multi-GDS strategy and more freedom to direct connect with suppliers as the market dictates. This is not a new concept, as Expedia is or has been powered in various parts of their business by all three GDS, as has Priceline and both Expedia and Priceline have agreements with Farelogix, which is the airline industry's main purveyor of direct connect technology. The multi-GDS concept allows an OTA to leverage the inventory strength of its GDS partners geographically and to utilize direct connect to key airline and hotel partners when beneficial. In late 2013, Orbitz concluded a non-exclusive deal with Sabre and in early 2014, signed a new agreement with Travelport and also signed an agreement with Amadeus. Stay tuned. Next in the Travel Industry Pedigree Series turns to Europe and OPODO, the European cousin of Orbitz. 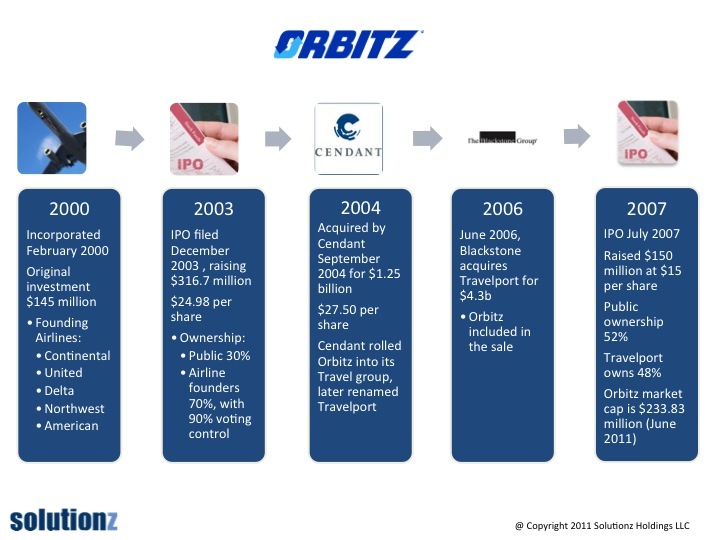 Since this blog was published, Orbitz has achieved a $1b market cap and their stock price has had an impressive ride, with growth far outpacing its competitors.